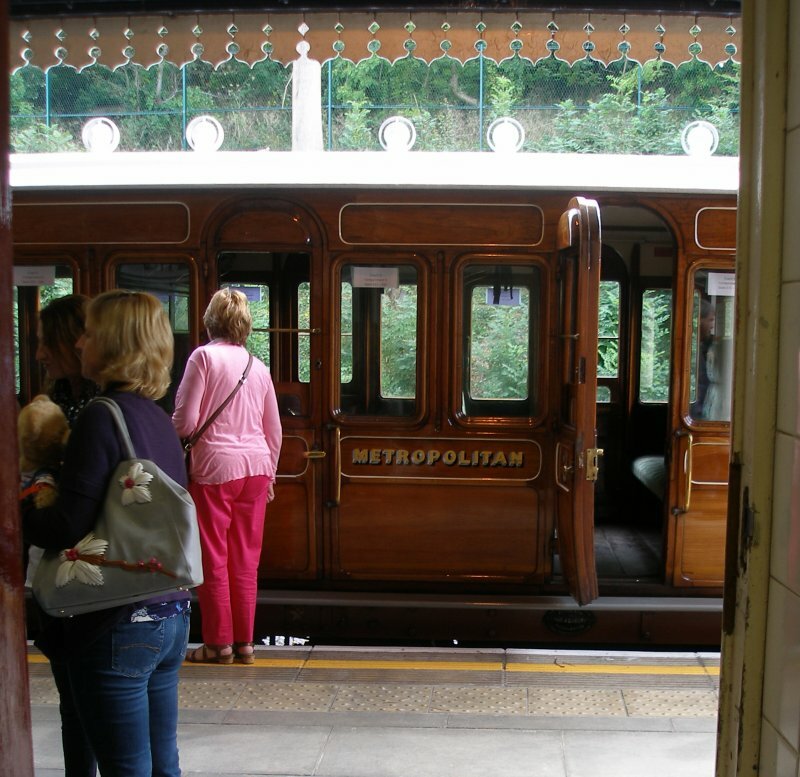 On Saturday and Sunday 12- 13 September 2015 London Transport and the Friends of the London Transport Museum organised one of their wonderful 'Steam on the Met' events. 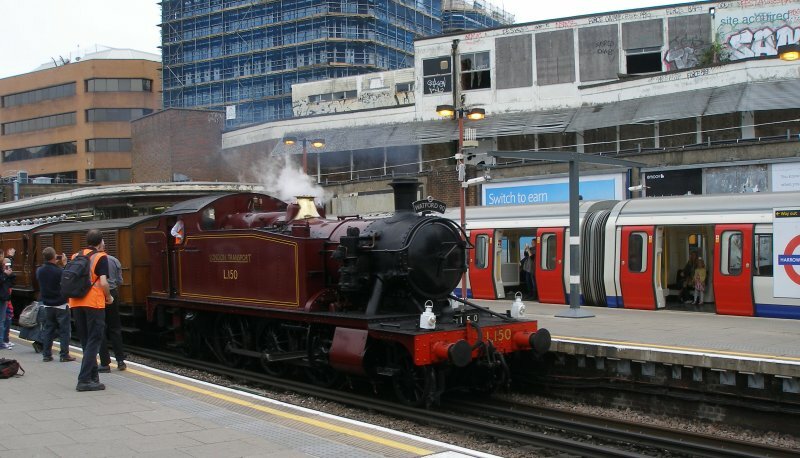 The train was stabled at the Central Line's West Ruislip depot, and took the chord down to the Metropolitan Line's Uxbridge branch. 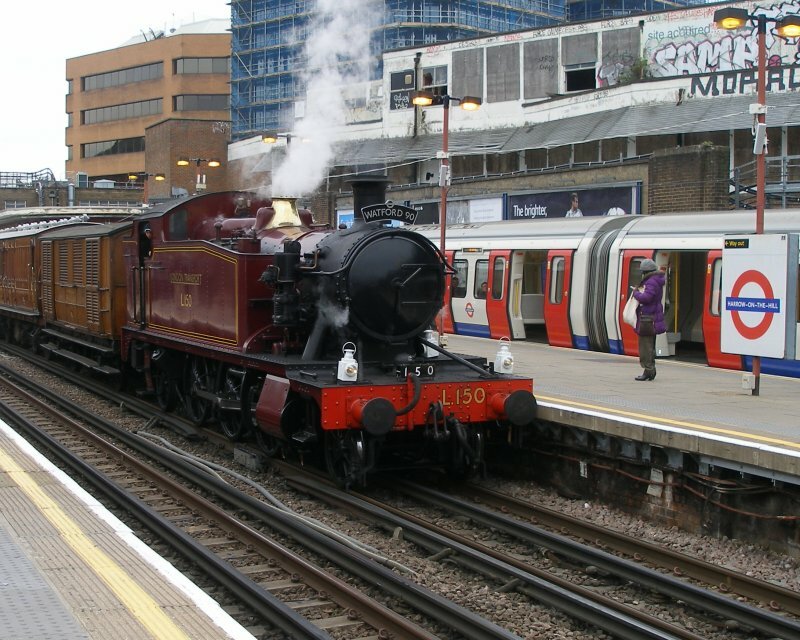 The train - headed by 'LT.150' (aka GWR small Prairie 5521) - travelled to Harrow-on-the-Hill when it then revered into the turn back siding. After a few minutes, the train then moved out into Platform 4 to allow boarding. Now headed by Met 1 and 'Sarah Siddons', the train moved out of the station, and crossed over the fast lines for a non-stop run to Chesham. After a 10-minute break at Chesham, where both locos were watered, the train set off back to Watford, where I Ieft it. 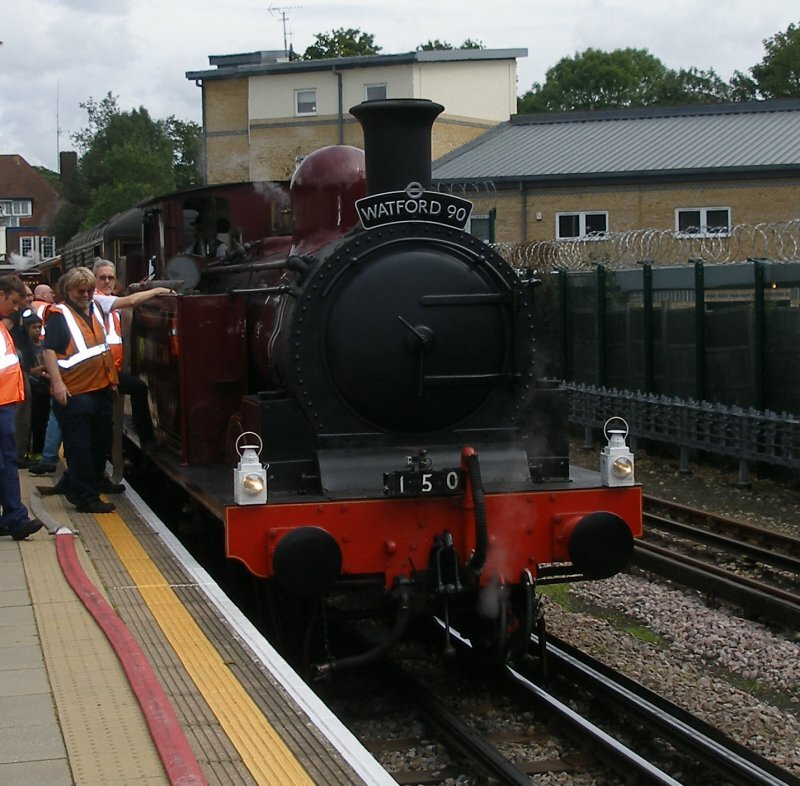 The second run, travelling from Watford to Chesham and return to Watford, was caught in full flight at Chorleywood in the video clip at the bottom of the page. 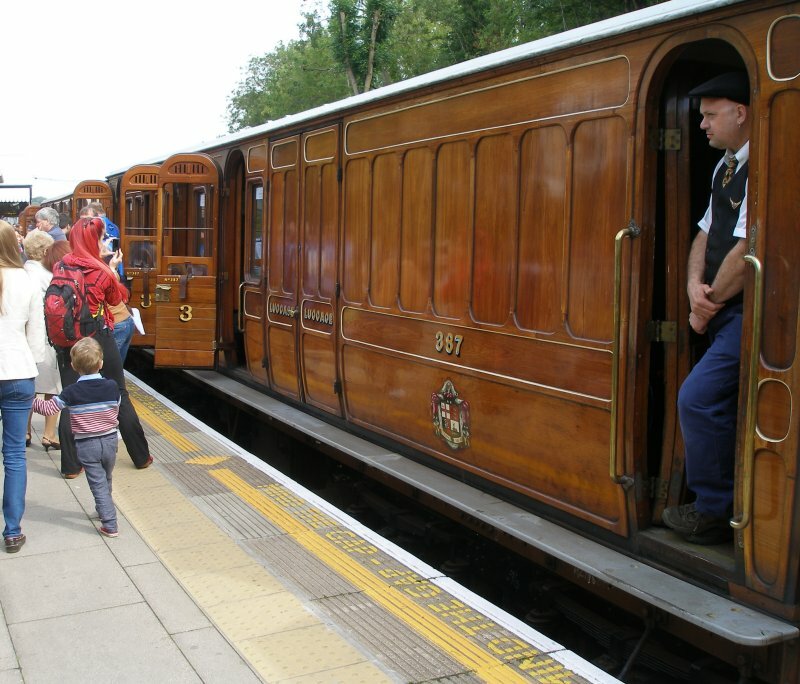 The Bluebell Railway's Chesham Line set stands at Harrow-on-the-Hill station, with 'Sarah Siddons' in view on the left hand side of the photo. 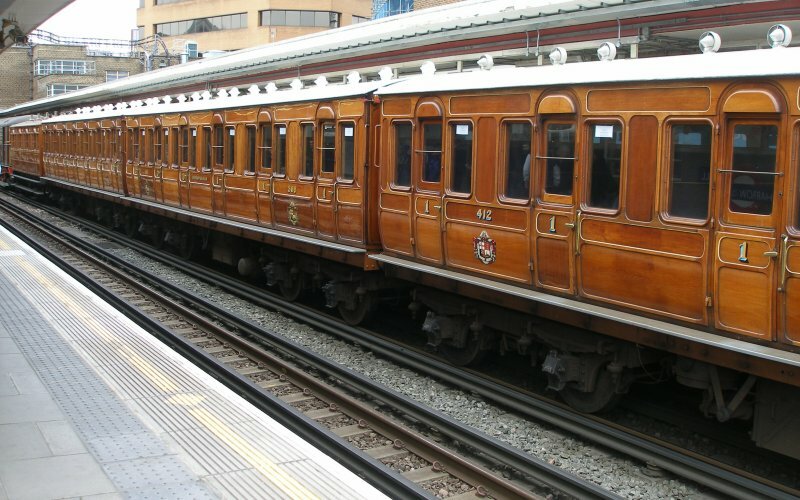 Metropolitan Number 1 waits to lead the Watford 90 event train into the turn back siding at Harrow-on-the-Hill station on 13 September 2015. 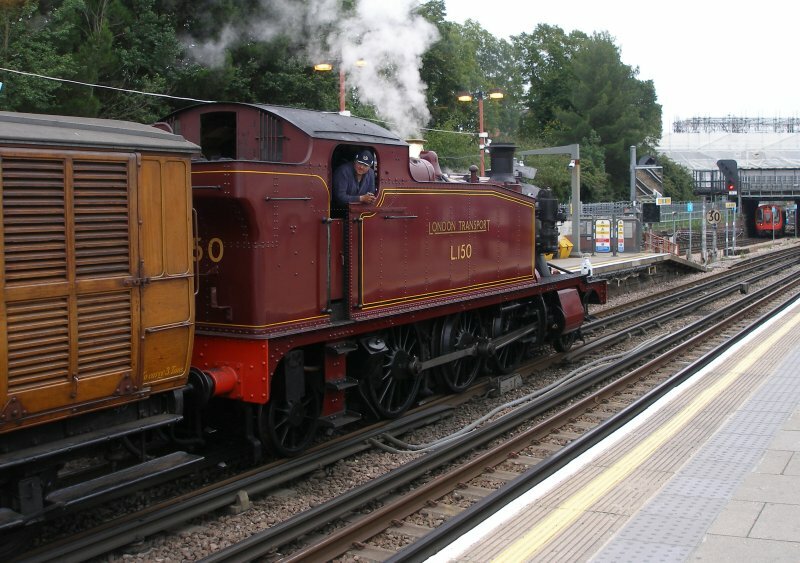 Small Prairie L.150 stands at the rear of the Watford 90 train in the turn-back siding whilst an S8 stock train heads past towards Harrow-on-the-Hill station on 13 September 2015. The original Metropolitan Line route map displayed in coach 387. 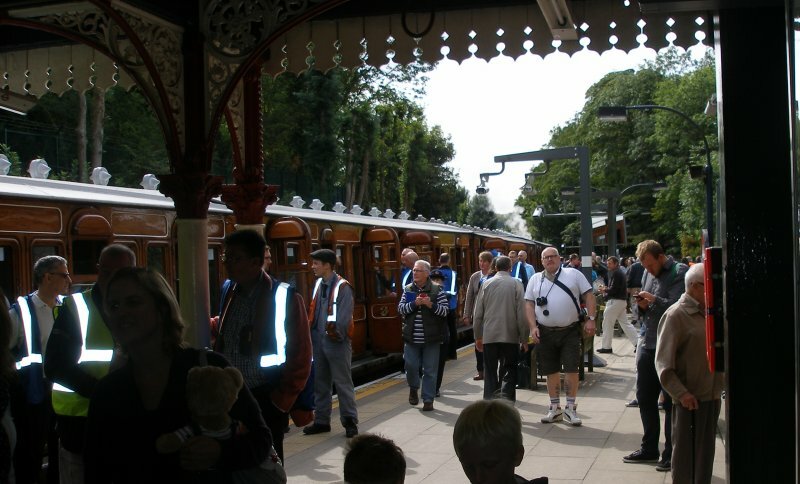 The Bluebell Railway's Chesham set stands at Chesham Station, 13 September 2015. 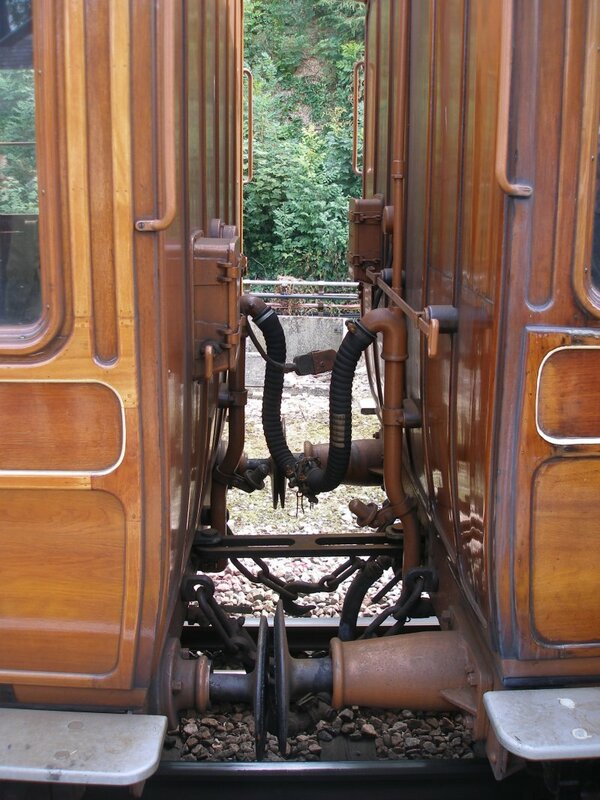 Brake van detail of coach 387 standing at Chesham Station 13 September 2015. 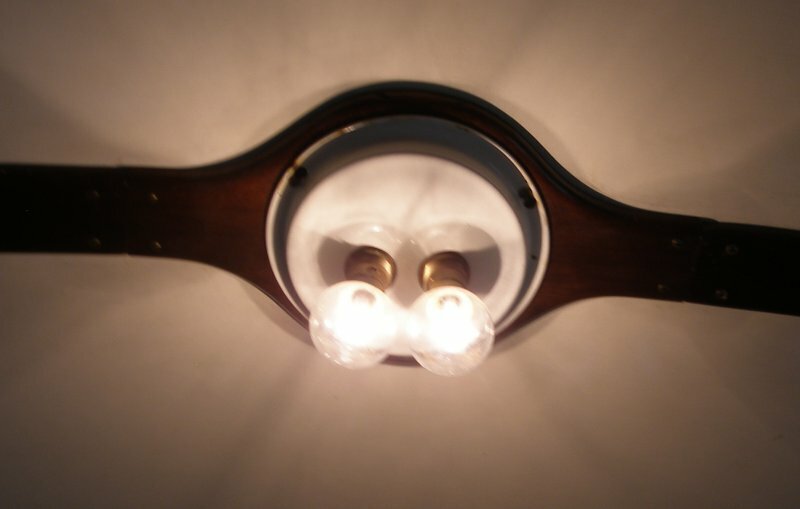 Detail of couplings between Metropolitan Coach 387 and Milk Van as seen at Chesham Station on 13 September 2015. 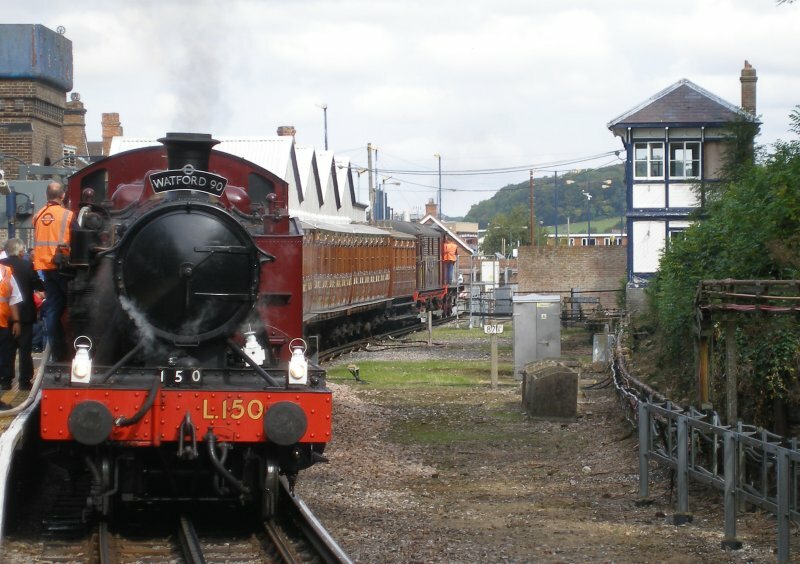 L.150, Chesham Set, 'Sarah Siddons' and Metropolitan 1 framed by the water tank and signal box at Chesham station on 13 September 2015. 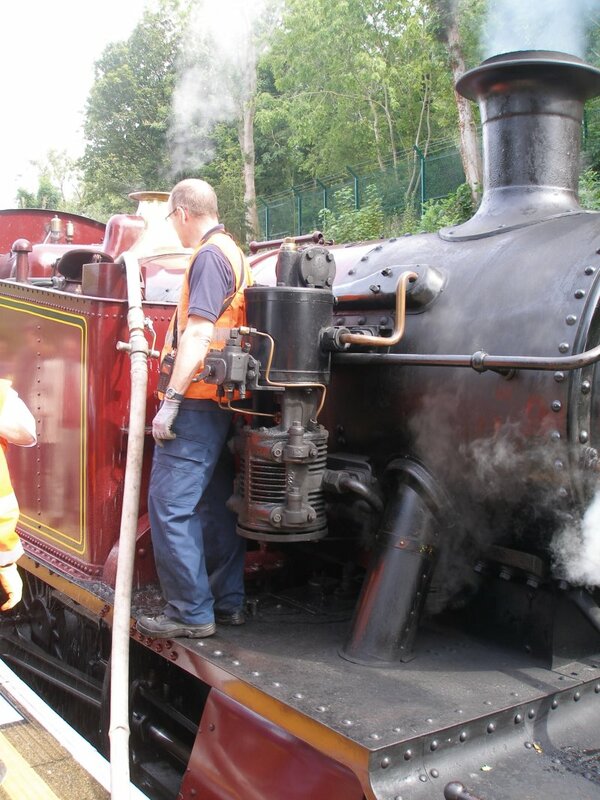 L.150 is watered at Chesham station on Sunday 13 September 2015. 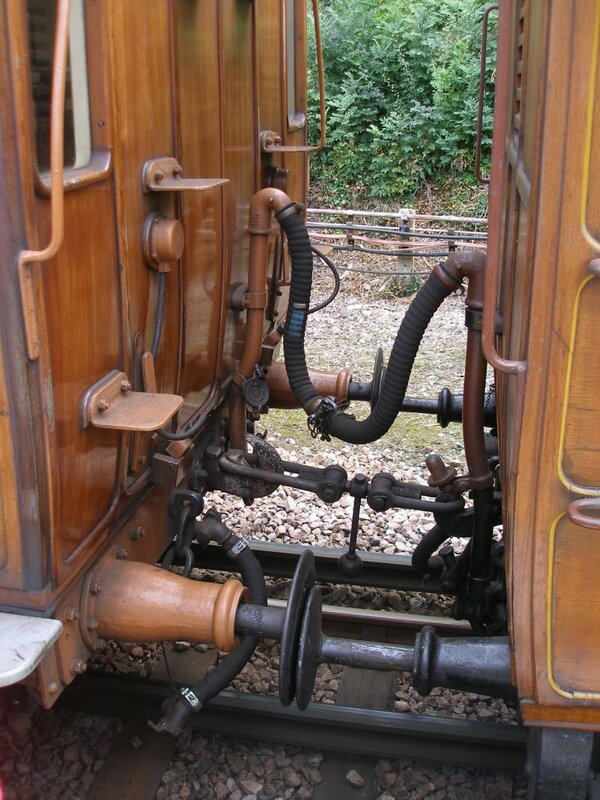 Detail of couplings between Metropolitan coaches of the Chesham set showing semi-fixed coupling arrangement as seen at Chesham station on 13 September 2015. 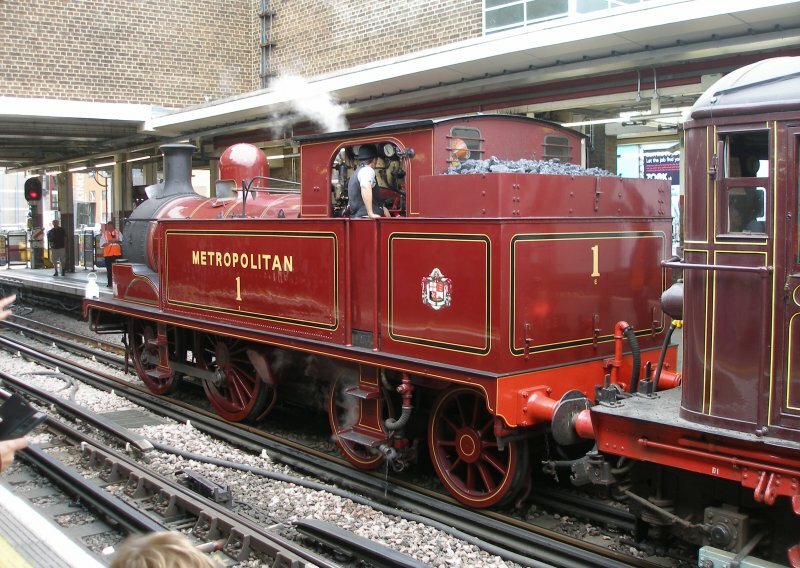 Metropolitan 1 stands at Watford Station.